Mr. Kumar conceptualized India’s first state of the art infrastructure for Exhibition and Mart at Greater Noida and currently holding the position of Chairman of the India Exposition Mart Limited popularly known as India Expo centre & Mart. The India Exposition Mart has a spread over of 58 acres and has built up complex of 2.5 million sq. ft. i.e. 25 lakhs sq. ft area. The foundation stone of the same was laid by the then deputy Hon’ ble P.M. Shri L.K. Advani and later it was inaugurated by Shri Manmohan Singh ji, Hon’ble Prime Minister of India in 2006. Major shows, Exhibitions and conferences like Auto Expo, Printpack, Asian Development bank (ADB) and FDI World Dental Congress are now being organised in this complex. He is also Chief Executive Officer of most premier Export Promotion Trade Organisation in India, having membership of more than 10,000 member exporters. To give an identity to the services of buying agents & buying houses, Mr. Kumar initiated and formed “The Buying Agents Association” on 14th July, 2016 and is presently Founder President of BAA of India. Mr. Kumar is also the Immediate Past President of Indian Exhibition Industry Association (IEIA). Post Graduate in Public Administration and International Foreign Trade Mr. Kumar, has wide experience of working with SME’s especially export promotion enterprises for more than 30 years. In recognition of his services as instrumental in establishing & enhancing trade with Japan, the Japanese Government conferred JETRO’S COMMENDATION AWARD for International exposure to Japan and Mr. Kumar was 1st Indian to receive this distinction. Mr. Kumar started world renowned Indian Handicrafts & Gifts Fair in 1994 which is visited by over 5,000 overseas volume business buyers for sourcing and about 2,750 exhibitors from all over India participate in the same. The fair is recognised as ‘World’s largest congregation of handicrafts exhibitors under one roof’ by Limca Book of World Records. He is also instrumental in organizing Product specific shows like Home Expo comprising – Indian Furniture & Accessories Show, Indian Furnishings, Floorings & Textiles Show and Indian Houseware & Decoratives show and Indian Fashion Jewellery & Accessories Show (IFJAS) at India Expo Centre, Greater Noida. These shows are eagerly awaited by the buyers from all across the globe. Mr. Kumar has played a pivotal role in development of various craft pockets of handicrafts like Jodhpur, Jaipur, Saharanpur, Narsapur (A.P. ), Moradabad and some in Northeastern Regions which are now recognized world over for their export performance. Mr. Kumar is key architect for setting up of several important organisation in India such as setting up of National Centre for Design & Product Development (NCDPD) in New Delhi for design and product development. Also instrumental in creation of Handicrafts & Carpet Sector Skill Council (HCSSC) to bridge the skill gap in the handicrafts & carpet sector and provide over 2 million skilled manpower. VRIKSH – Indian Timber Legality Assessment and verification programme launched to combat trade in illegally harvested timber. Moradabad Artisans Welfare Trust to provide vocational training and higher education for artisans and their children etc. Mr. Kumar is also credited with introducing the web-based Electronic Voting System for election of 10,000 members of the Council. EPCH being the first council to do so. The Council was also awarded eIndia Award for this initiative. Has served as a Member-Steering Committee of Asian Development Bank-ADB’2013 constituted by Ministry of Finance, Dept. of Economic Affairs, Government of India for holding ADB general meeting in India. 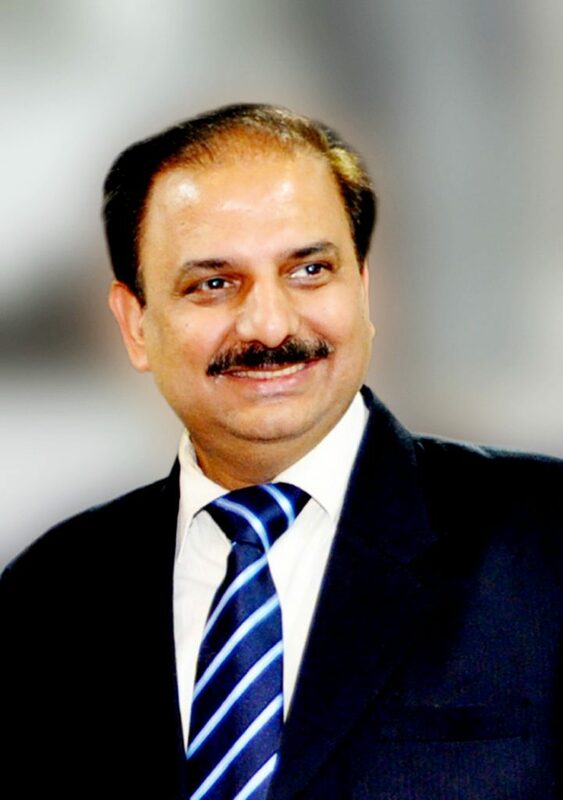 He has been awarded Safari India South Asia Travel Award in individual category being “the best Professional in MICE” towards his contribution to conceive, implement and run successfully state-of-the art exhibition centre called India Exposition Mart Ltd [IEML] at Greater Noida and also his overall contribution towards promoting exhibition industry.